We are a family of readers and we absolutely love having books in our house. I have a bookshelf in practically every room of the house and books are located nearly everywhere. To help my neurotypical child understand, we turned to books about autism. It’s also given me some thought about eventually writing my own book about autism. But, not just yet. For now, we will rely on this list and supplement as we go. I’ve posted my Top 10 Books for Parents of Autistic Children and I’m working on a post specifically for parents of girls on the spectrum. 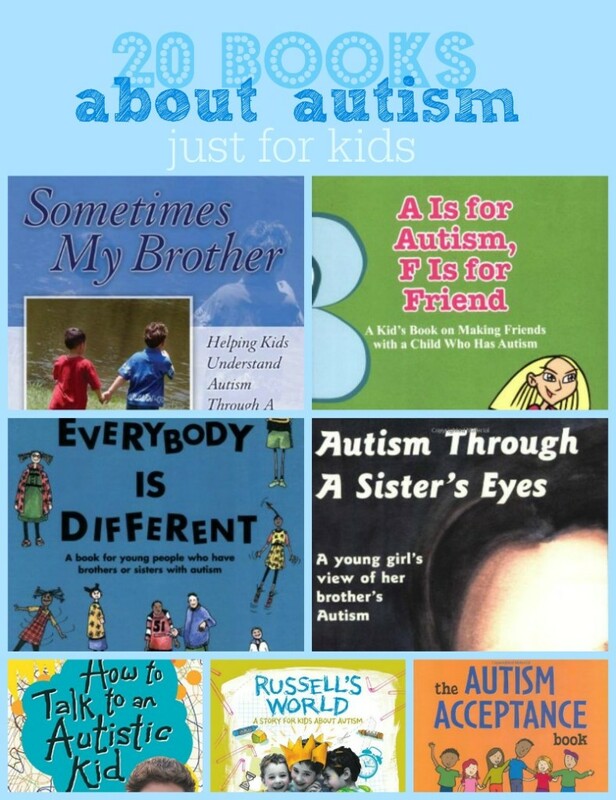 But today I wanted to share a list of books about autism for kids. If you have children who are not on the spectrum, they may not understand right away. Or maybe you want to help the children at your local church or in your community understand. 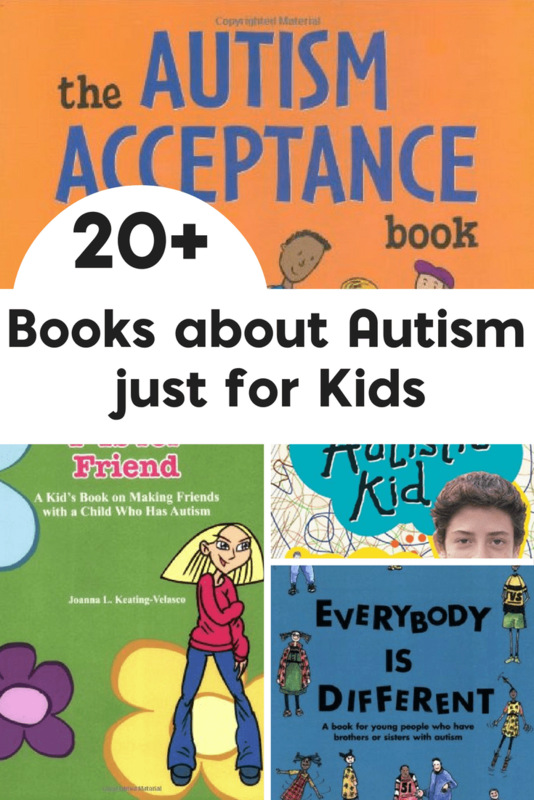 Whether you are looking for books for your friends or family members, I hope that this list of books about autism for kids will be of use to you. Books are a great way to introduce concepts to younger children and one of the strategies that we use for developing a relationship between siblings. Eventually I’m going to have to get a few of these for Squeaker and I’ve also thought of getting one or two for T & J. But, since Sweet B is with her dad on the weekends (when T & J are with us) I’m not sure if it would really make a difference anymore. While the majority of these are autism specific, there are a few that are for general special needs. Either way I hope that you find this list of use. I’ve found that books are a great way to introduce a new concept to children, so why not use that with books? Wanting to help kids understand more about ADHD? Check out these ADHD books for kids to teens. Thanks for the AWESOME book list!